Here’s photo of the police APV making appearances around Lancaster County, Pennsylvania this month. The city bought the vehicle in 2009 thanks to a quarter million dollar grant, also from DHS. I always wonder about the cammo. Why do so many SWAT teams wear camouflage? Are they really serving many warrants in the woods? I’ve been reporting on and researching this issue for more than five years now. I can’t recall a single story in which a SWAT team needed to sneak up on a drug dealer, fugitive, or hostage taker who was hiding in the trees. She made a stop yesterday in northern York county and then made her way over to Philadelphia to see the liberty bell. I wonder if she took I-76 or the more scenic Route 30. I woke up this morning feeling really thankful that I still had a roof over my head. We lost power last night for four hours due to a severe storm sweeping through central Pennsylvania. A few trees came down and I heard a house got struck by lightning nearby. I turned the radio on this morning and heard of the continued destruction across the Midwest and South and now floods in Vermont. Again, I’m very thankful. I haven’t lost power for that long of a time in a few years. I’m just not use to mother nature going haywire in my area. Pennsylvania seems to be mostly a lucky place in that it misses tornado’s and major storms. My thoughts and prayers are out for those hurting across the U.S.A.
About 31 percent of districts are considering cutting full-day kindergarten next year, compared with 1 percent that eliminated it this year. About 86 percent of districts anticipate seeing class sizes increase next year, compared with 17 percent increasing this year. 91 percent of districts don’t plan to fill empty positions next year, and about two-thirds plan to lay off instructional staff. The full report (pdf) is worth a read. Improvements in Schools and Money: What makes a difference? Some say that more money has not healed the epidemic known as the broken educational system in Pennsylvania (and nationwide). We shall see what impact less money has on the system in the Keystone state. Corbett’s budget includes a $186 million increase for the state Department of Corrections. That’s an 11 percent jump, part of a long trend of skyrocketing state prison costs. Corbett attributes this trend to the personal failings of the people filling the prisons. Pennsylvania’s prison population has grown by 500 percent since 1980 despite few changes in crime patterns. According to the state Commission on Sentencing, a bipartisan panel created by the legislature, the huge jump is due mostly to mandatory sentences for petty drug crimes. If Corbett were serious about cutting all costs, including prisons, he’d identify the problem as our drug-sentencing laws. Instead, he’s throwing money at a broken system and claiming it’s out of his control. The moral of Tom Corbett’s budget story is that much of it is just that: a convenient story. De-funding and de-prioritizing public education while ramping up the never-ending war on drugs is about the most toxic combination of policies you can scrape together. Jamil asks, “What will be the ripple effect” of all these anti-worker, anti-education GOP budgets? I called Scott Walker’s budget shenanigans in Wisconsin the “real Republican Waterloo” and this is exactly what I was driving at – what will the ripple effects of this overreach be? Conservatives are feeling confident and relishing their little victories now, but public opinion is turning against them. Expect a backlash. But the damage may very well be done. As I’ve mentioned many times, the anti-teacher crusading has taken on a decidedly bipartisan hue, and the new class war is still heating up. All of this makes for interesting fodder each day I teach. I can see administration building workers clamping down on procedures and each and every line of the budget in our schools and clubs are being questioned. This isn’t entirely a bad thing. It is calling us to be more careful with the money we spend (and by we, I mean us teachers. This line of duty seems sometimes out of the picture for when, say, superintendents salaries are on the table for a pay freeze). However, I can see issue with cutting funding to our schools: it cuts down on reinbursements for continuing ed. For some, it may not make a difference but for myself and a few close colleagues, it matters. Because taken out of context, Ezekiel says that our world will end on May 21st, 2011. I saw this website’s billboard in PA farm country this weekend. Unreal. I never would of pegged the Keystone state to have such fanaticism within its borders. On the plate for this week: I will be subbing most of the week. MJ has a meeting today in CBurg so she will be gone from today until tomorrow night after her class. Big sad face with that one. I started a new book, started reading the November issue of The Atlantic, am applying for a long term substitute position in Lancaster, and I am excited for the weekend coming up in the valley! 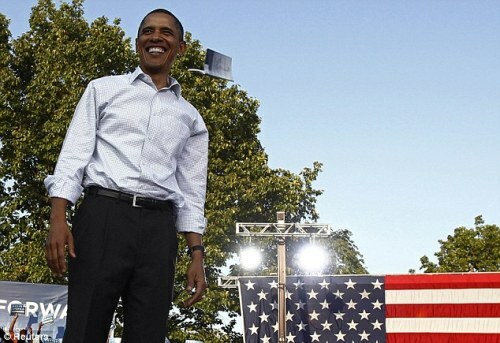 Barack Obama will be in Philadelphia this Saturday for a final Democratic rally before next Tuesday’s elections. I wish I could be in two places at once! To top this all off, I found some Men’s after shave from Victoria’s Secret that my Mom gave me. I smell so good! Send your thoughts related to the Question of the Week to vgiordano at gmail dot com and look for the new Question of the Week this Friday! The above picture is to symbolize change or things anew. God knows I have been praying for some of that. “‘For here’s what I’m going to do: I’m going to take you out of these countries, gather you from all over, and bring you back to your own land. I’ll pour pure water over you and scrub you clean. I’ll give you a new heart, put a new spirit in you. I’ll remove the stone heart from your body and replace it with a heart that’s God-willed, not self-willed. I’ll put my Spirit in you and make it possible for you to do what I tell you and live by my commands. You’ll once again live in the land I gave your ancestors. You’ll be my people! I’ll be your God! The Secret Service is now shedding some more light on the circumstances surrounding a man who threw a book at President Obama at an event in Pennsylvania Sunday. And they’re not throwing the book at him. According to Secret Service spokesperson, Ed Donovan, the person involved was an overzealous author who just wanted to toss his book into the president’s reading list. “He was an over exuberant person who wrote a book that he wanted the president to read,” Donovan told CNN. 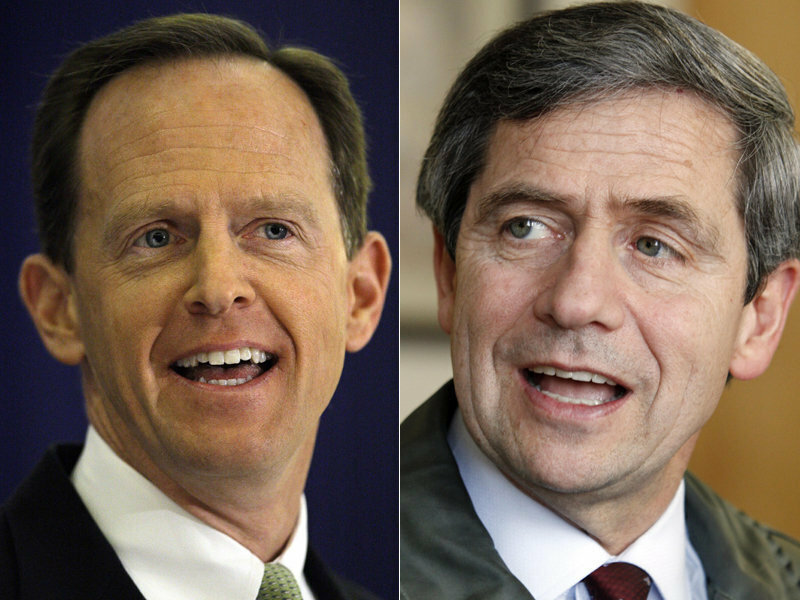 Republican U.S. Senate candidate Pat Toomey has been inundating the media with ads condemning Democrat Joe Sestak for voting for the “death tax.” The ads state that the government will take up to half of your assets when you die. Inaccurate and partial information is the same as not telling the truth.This tax is really an inheritance tax, which applies only to estates of more than $1 million, and there are further exclusions that can be used to reduce this tax. To act as if all Americans are subject to this tax is just a cheap scare tactic. Why should we vote for someone who so blatantly misleads?